A few weeks back I published an article on Christ’s saving work, looking at the various elements in the broader narrative arc that surround his atoning death. I’ve been continuing to reflect on how to seek out a healthy balance here, and especially as it relates to the incarnation. Is the incarnation itself saving? Is the very act by which God the Son assumed a human nature a redeeming act—or does it merely prepare for the redemptive work in his death and resurrection? I want to be careful here. On the one hand, the notion that the incarnation itself transformed human nature could be taken in the direction of Eastern Orthodox view of deification, and/or could seem to logically imply universalism. I would want to steer away from both of these dangers. On the other hand, John Stott’s view that the incarnation was there simply to prepare for the possibility of his death (Cross of Christ, 233) seems too narrow to me. For starters, the incarnation is organically related to the resurrection, which is clearly a saving event (the proleptic arrival of heaven). And the resurrection is not an arbitrary event; it is the outgrowth of the incarnation, it is the only possible thing that could happen to a dead God-man. The One who is life itself cannot stay dead, and the glory Christ inherited at his resurrection was not just generic glory, but specifically a divine glory (“declared to be the Son of God in power … by his resurrection from the dead” [Romans 1:3]). Therefore, we must see the incarnation in the context of the entire incarnate and glorified life of the Son of God. What happened on Easter was ultimately of one piece with what happened at Bethlehem. (As I’ve said before, I think the transfiguration supports this close relationship between incarnation and resurrection: it serves as something like a connecting tissue between the two). “The basis of our union with Christ is Christ’s union with us in the incarnation. We can become one with him because he first became one with us. By taking human nature into personal union, the Son of God has joined himself to humanity. He now has a human body and soul, which he will never jettison” (21). “On the other hand, there is no atonement without incarnation…. It was in our nature that he offered himself to the Father on the cross, and in our nature that he ascended far above all things created, and in our nature that he lives and reigns forever—in indissoluble personal union. Therefore, the incarnation is more than the basis for this union, as though the union were something else, separable and inherently disconnected. The complete identification of the eternal Son with our flesh and blood is part of our union with him…. So the incarnation should not be seen as merely a means to salvation. Rather, salvation finds its ultimate fulfillment in the union of humanity with God seen in the incarnate Christ. If, from one angle, the incarnation was the means of atonement and all that followed it, from another (more lasting) perspective, the atonement was the means to the elevation and fruition of humanity in the renewed cosmos over which Christ rules, and we in him” (41, italics his). 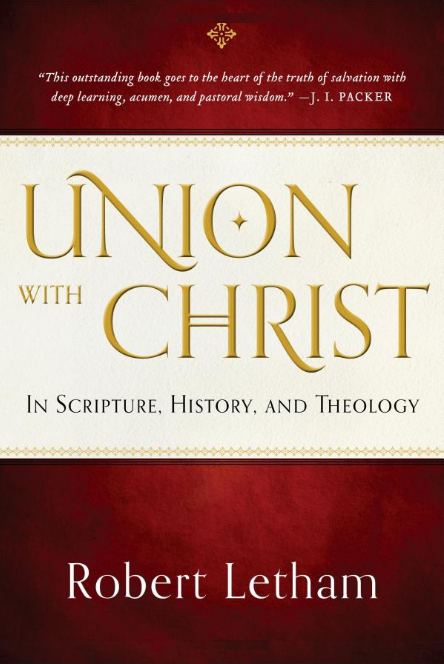 “The Christian faith can be summed up as, inter alia, a series of unions. There is the union of the three persons in the Trinity, the union of the Son of God with our human nature, the union of Christ with his church, the union established by the Holy Spirit with us as he indwells us” (37). So to sum up: the incarnation is soteriologically important in at least three ways: it transforms human nature in its anticipation of Christ’s resurrection, it establishes the basis for our union with Christ (and our ultimate glorification with him), and it cements the union of God and his people. And I am sure there is much more to explore here as well. How interesting Gav. John 17:4 is striking in this regard. Jesus says “I have finished the work you gave me to do”–before his death! What might that work be? This morning I read Thomas Manton the Puritan say essentially that this work was to fully prepare himself for death, but I agree with you that this is not good enough. It is one point Tom Wright has helped us see I think. John 17:4, fascinating! Never thought of that one before. Thanks. Thanks for this, Gavin. I *think* Letham is saying there’s a kind of two-step process in union with Christ: Christ uniting himself to human nature, then the Spirit uniting us to the God-man. Both steps being necessary, but the first incomplete by itself. That’s helpful Eric! I like that two-stage idea. I think you read Letham more carefully than me, I skipped around. Where was the treatment of theosis? Was it in chapter 2? Gavin, my notes say from like pg. 92 and onward. Donald Mcleod, p 202, the Person of Christ, IVP, 1998— Christ’s humanity is that of every human. But He is not every human. He is the man, Christ Jesus, and the only humanity united to him hypostatically is his own. This must control our understanding of the vicarious humanity of Christ. Who are the “we” and the “us” referred to by Torrance? Was Judas Iscariot born again at Bethlehem or Adolph Hitler baptized by the Spirit in the Jordan or Joseph Stalin raised from the dead? It was not the human race but the specific personalized humanity of Christ that suffered under Pontius Pilate. Christ is true God, but he is not the whole godhead. Christ is true human, but he is not the whole of humanity. The humanity of Christ was hypostatized in the person of the Son, not in the person of the Father. Godhead was united to manhood not in the person of Everyman but in the person of Jesus Christ. The hypostatic union did not by itself secure the theiosis of every human being. In fact, the hypostatic union did not by itself secure the theiosis of even our Lord’s human nature. He was glorified not because He was God incarnate but because he finished the work given him to do (John 17:4). It is perfectly possible to be human and yet not be in Christ, because although the incarnation unites Christ to human nature it does not unite him to me.